On 25-28 March 2018, Xi'an Brightway will attend the 8th North Africa Petroleum Exhibition & Conference ( NAPEC ) in Oran International Convention Centre, Algeria. Brighway invites you to visit the " A1-03" booth. 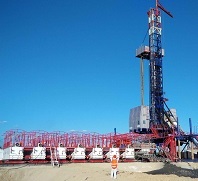 The North Africa Petroleum Exhibition & Conference held every March in Oran, Algerian. Oran is an emerging oil base in Algeria and a core area of the oil industry. The exhibition is the most influential professional exhibition in Afghanistan. 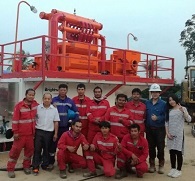 Brighway is the professional manufacturer of mud treatment equipment and system in China, and provide good performance solid control equipment and drilling waste management in oil drilling projects, mud recovery system in HDD drilling projects, for customers, separation plant in Micro-tunneling construction. In the NAPEC 2018, Birhgway will show the new type Mud Treatment Equipment and System for New and old customers in the whole of Africa. Welcom to visit Brightway Exhibition Booth A1-03!